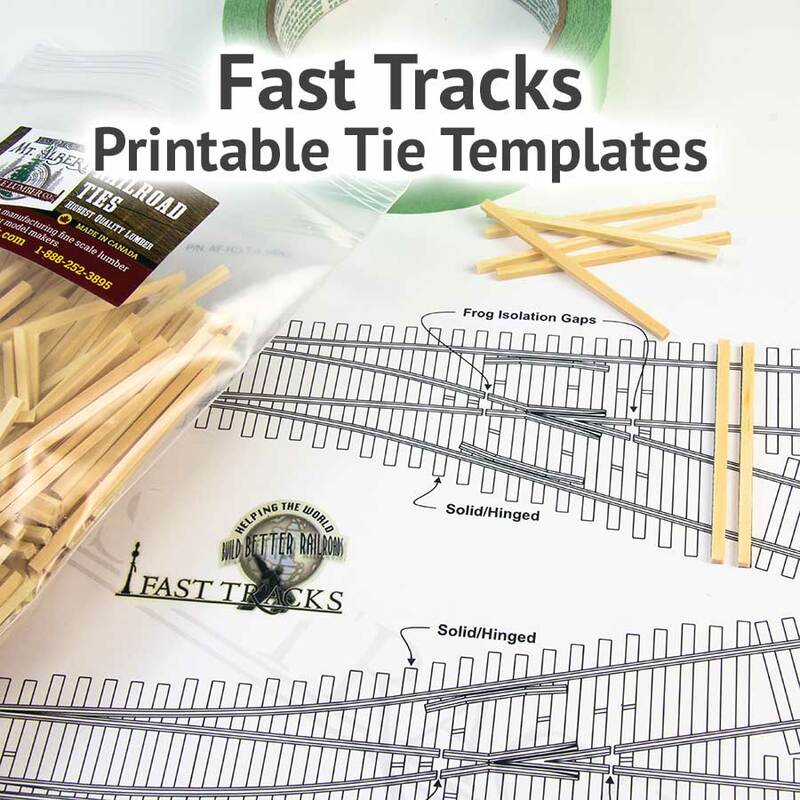 Fast Tracks Printable Track Templates are an invaluable tool for designing and hand-laying trackwork. 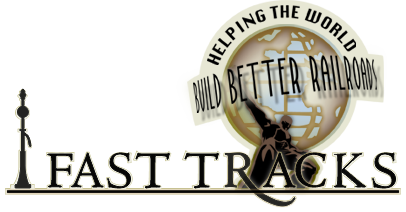 Generated from the same CAD file used to build the assembly fixture, this printable track template is an accurate representation of an On30 #19 Crossing, and is an invaluable tool for designing your layout and building hand laid trackwork. The file is a full resolution PDF file that can be printed on any inkjet or laser printer. Adobe reader is required to view this file. If it is necessary to assemble multiple sheets together, follow these simple steps below. On one of the pages, trim the template to the middle of the last tie. Its OK to cut off a bit of the printed portion, this will actually help in aligning the sheets. Lay the trimmed sheet onto the top of the next page. Carefully align the sheets to they are precisely aligned. Tape the sections together using clear tape. Use care at this step to ensure the sheets stay aligned precisely. We have found it is easier to use a couple small pieces of tape to "tack" the pages together, then follow up with a large piece across the entire joint. Once assembled, the turnouts can be cut from the sheet, or the entire assembled sheet photocopied on paper stock large enough to fit the entire turnout.